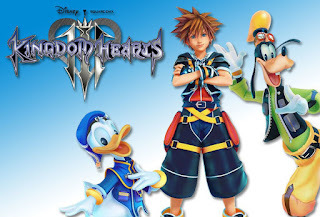 During the Kingdom Hearts Orchestra World Tour concert in Los Angeles, it was announced that Kingdom Hearts III finally has a released date of January 29. Square Enix officially announced the game at E3 back in 2013. About a year ago at D23, it was announced that Square Enix was aiming for a 2018 release. This is the first official date we’ve been given for the game. Hopefully we’ll learn more info at Square Enixr’s E3 conference on Monday at 10 am PT. Kingdom Hearts III releases on January 29 for PlayStation 4 and Xbox One. Hope they stick to the release date.